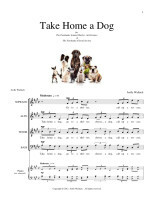 At least four dogs – auditioned for their willingness to vocalize and their generally calm demeanor – sit between their handlers’ knees in front of the choir. 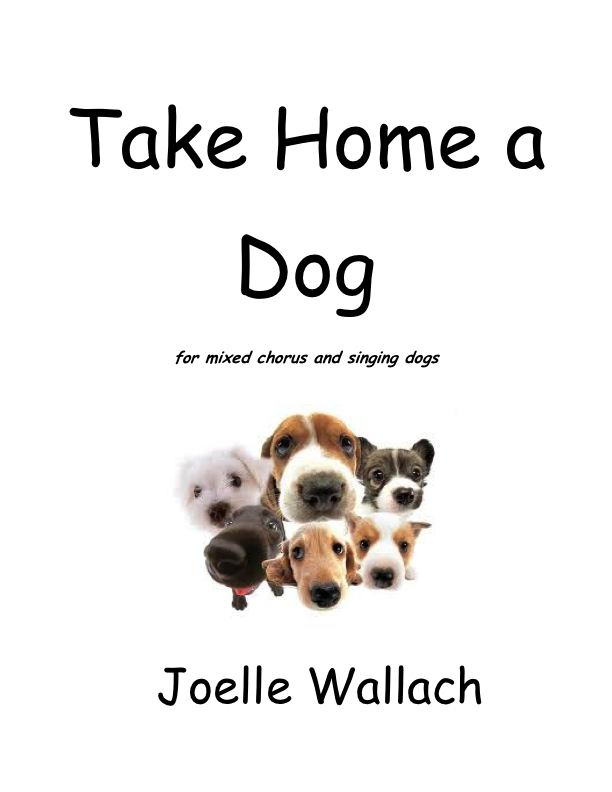 The choir should begin singing when most of the dogs are as silent and calm as possible. 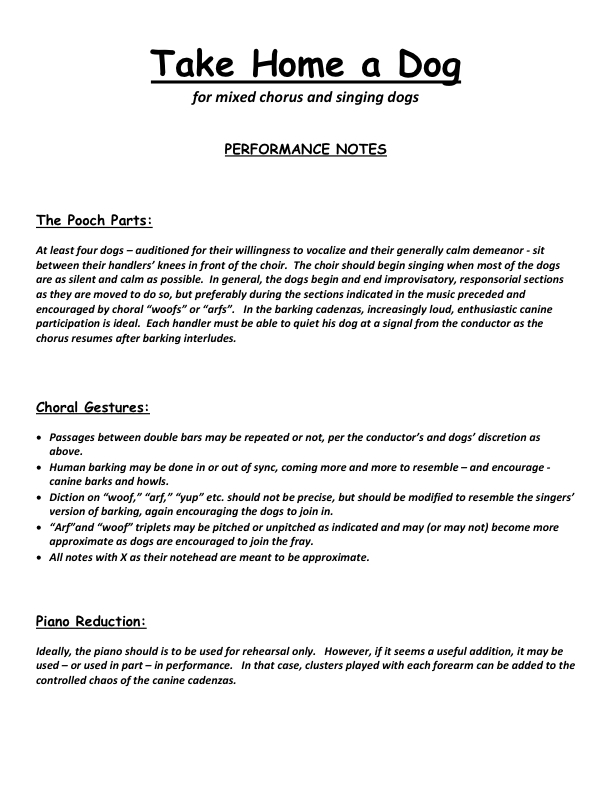 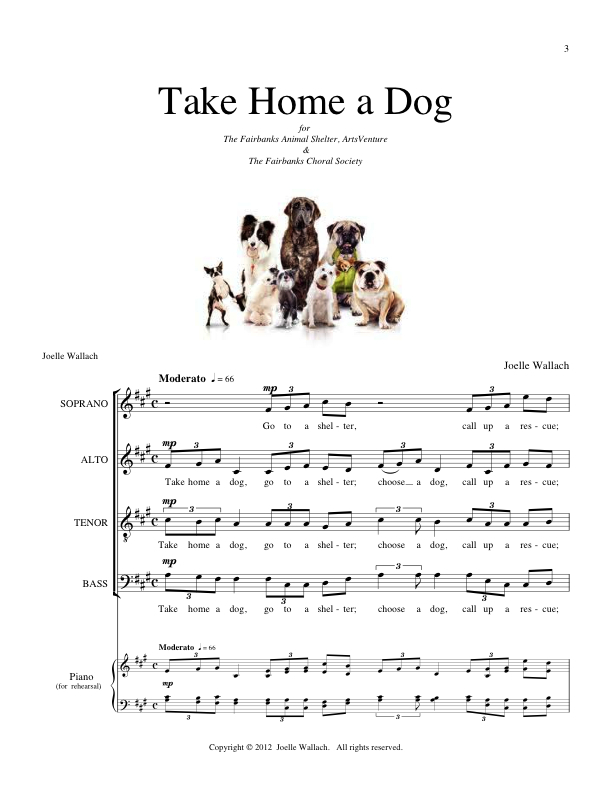 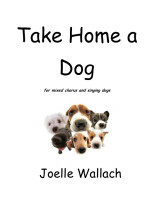 In general, the dogs begin and end improvisatory, responsorial sections as they are moved to do so, but preferably during the sections indicated in the music preceded and encouraged by choral “woofs” or “arfs”. 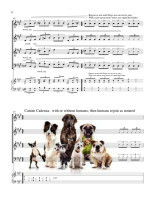 In the barking cadenzas, increasingly loud, enthusiastic canine participation is ideal. 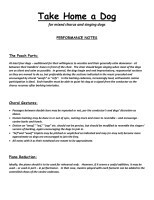 Each handler must be able to quiet his dog at a signal from the conductor as the chorus resumes after barking interludes. 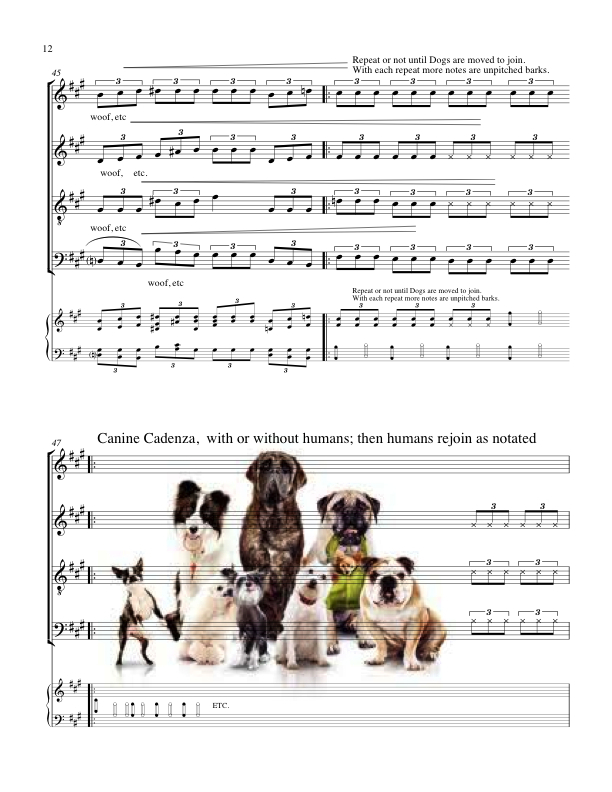 Of course a special musical notation and auditory signals had to be invented for the dog stars…they appear intermittently in the score.